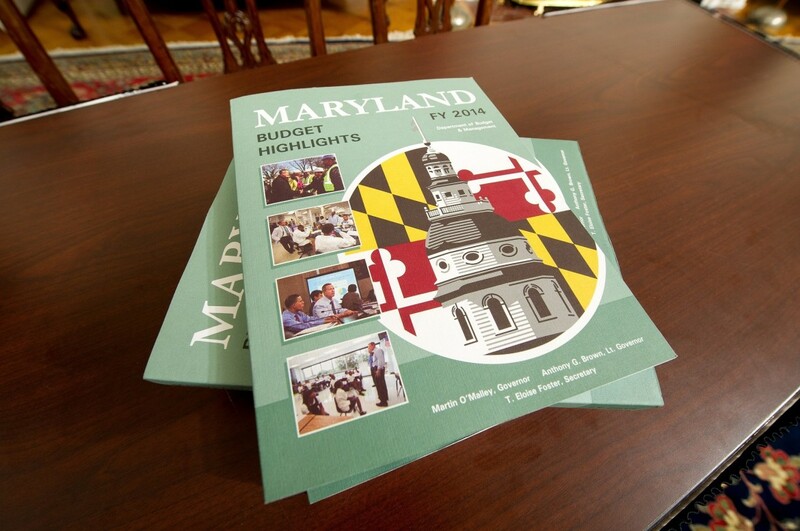 Maryland governments are awash in budget deficits. Yet it need not be quite so bad. In Annapolis, state officials are looking at a $900 million shortfall over the next 18 months — and that number will likely grow when updated revenue estimates come out Monday. In Howard County, the current-year gap is estimated at $14 million. In Baltimore City, the mayor is looking at an expected $15 million shortage for this fiscal year. In Prince George’s County, the budget gap is $59 million. In Montgomery County, local budgeteers say the county might find itself with a $250 million shortfall. All those projections are likely to rise in the months ahead. When bad economic news hits the U.S., state and local governments feel the reverberations as tax collections contract. When the federal government cuts spending under Republican mandates, Virginia and Maryland feel the impact most as residents can’t find jobs in the Washington area; consultants and contractors lay off employees due to reduced workloads. When the real estate market continues to lag, governments get less than expected from the property tax. But there’s another insidious factor at work: a badly skewed budget calendar that leads to highly inaccurate revenue estimates. Right now, Gov.-elect Larry Hogan is basing his slimmed-down budget plans on projected tax collections for the next 18 months — through June of 2016. Economic models cannot give Hogan more than a wild guess on what energy prices will be in the spring of 2016. The same holds for food prices and construction costs a year and a half from now. Will housing sales be up, down or in the doldrums in early 2016? How about employment and jobless claims a year-plus from now? A tarot card reader might prove more useful than an economist in determining how much revenue will come the state’s way a year and a half from today. Mathematical models designed by economists cannot account for the vagaries of political decision-making, either. With Republicans taking full control of Congress, will that lead to a massive reduction in aid to the states? If so, by how much? And what will next October’s federal aid package look like? No wonder state and local officials often find themselves behind the eight-ball. They are basing their budget decisions on best guesses of the government’s tax collections well into the future. There’s a better way: Change Maryland’s fiscal budget year so it runs from January to December. Then, base the state’s budget on the prior year’s revenue numbers. That’s a far more cautious approach. It comes with a huge benefit — 100% accuracy in the state’s revenue numbers in the next budget. Instead of beating their heads against an economic brick wall trying to fathom what tax receipts will be like two springs from now, state leaders could construct a budget with a large degree of certainty, knowing that the money will be there. Next year’s budget thus would be based on the exact amount of lottery and casino revenue generated in 2014. We’d know the amount to the penny. The same would be true for income tax and sales tax receipts. We’d also know with precision the scope of federal appropriations to the state and localities for most of 2015. That’s because Washington operates on an October to September fiscal calendar. We’d have an accurate picture of federal largesse for three-quarters of the next year. All this would take much of the guess-work out of Maryland’s budget process. Reforming the state’s budget laws would give localities earlier certainty, too. There would be less chance of giant shortfalls. Yes, we’d still experience spending gaps, such as for police overtime or emergency repairs or catastrophic occurrences, but a calendar-year budget would eliminate much of the angst that now consumes officials at this time of the year. The downside: State leaders would have to craft more conservative budgets. In boom years, this could result in very large surpluses. But it also would lead to far smaller deficits when the next recession hits. Adjustments to the state’s calendar-year budget could be made in June or July, with a supplemental request from the governor to the legislature, which could hold a brief special session to examine the new spending requests. The advantages of putting together a budget containing accurate revenue numbers are immense. Such a proposal is well worth considering — especially by a newly elected governor facing a giant budget crisis. Maryland’s spending and taxing habits need close examination. But so does the budget process itself. Why not make budgeting in Annapolis more rational? Next year’s spending numbers should be based on the tax collections from the prior calendar year –not ballpark guesses of how future events might impact state revenue more than a dozen months from now. Compared with tax reform and downsizing government programs, changes to Maryland’s budget procedures would be fairly easy and straight-forward. It’s not a partisan issue, either.